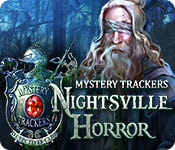 Mystery Trackers: Nightsville Horror is rated 3.8 out of 5 by 28. Rated 5 out of 5 by GhostWorks from I wish there were more games like this I enjoyed this game immensely. The story line was intriguing, the graphics were well done, and the puzzles were not as challenging as some but still fun to do. I actually rushed through the game because I wanted to see how things were going to turn out. I wasn't disappointed. There were enough wild herrings before getting to the end to make it interesting. I really liked the way the game designers made us go through finding certain items in order to then get the next big clue by giving us a run down of what had occurred before we got there. The deductions when each set of clues were discovered was an interesting way to helping us solve the mystery. I would definitely recommend this game to beginners of HOG's and the experts. Rated 5 out of 5 by Sward81333 from Intriguing Story I would rate this better than average for story and challenge. The story drew me in and got me involved. Rated 5 out of 5 by BooksandGameFan from BUYOU This game! I really, really enjoyed this game! I almost didn't get it because it looked like the game was going to be dark and kind of ugly, it was, but it was the perfect ambiance for this game. I demo'ed & purchased a lot of games over the holidays due to the great sales. I demo'ed this game but didn't purchase it, I purchased others but the whole time my mind kept thinking about this game so I gave in and purchased it too. I then started playing it and didn't want to stop until the end. It was FANTASTIC!! I'm not a big fan of the mechanics Elephant normally uses in their games (back & forth, back & forth.& Pick something up stick it here, rinse and repeat) but I love the series they put out. Unlike Mad Head or Artifex Mundi who tell a story wonderfully in all their games Elephant in my opinion does not, or the story gets lost. They aren't normally all that creative with game play either but they were here. This game felt different then the other Elephant games, better! 1. There was a great story told well. 2. The game was pretty much straight forward used common sense and there was very little back and forth and back and forth which is usually their modus operandi. The game was shorter due do this but it was cohesive, straight forward and a lot of fun! I would much rather a good clean straight forward game that's shorter then one that makes you run all over the place for nothing other then to extend game play. I loved having the gift of sight and putting clues together in each location and drawing a conclusion of what happened in that location, it moved the story along and you really felt like you were an investigator in the game! It made it so much more enjoyable then just plodding along through a game picking up pieces placing them here there and everywhere. I really loved that there were stories told through out the game as well as the overall arch of the game that was solved nice and tidy at the very end. (who was the bad guy/gal) I will probably play this game again which is something I almost never do. Yes I highly recommend this game!. Rated 5 out of 5 by bwake47 from What a fun game!! I really enjoyed playing this game. The location could have been in the Louisiana Bayou. The graphics were very good and scenery was eerie. The game takes place at night which adds to the atmosphere. I loved investigating a kidnapping of a young boy and being able to select the questions you wanted to ask the suspects. You gathered 3 clues before making your deduction on each suspect, ruling them out as you go. There wasn't a lot of going back and forth, which I liked. I never felt at a loss as to where to go next. I didn't use the map or hint button very often (which is unusual for me). You basically went from one location to the next, investigating as you went. I thought it was really a fun game, one I didn't want to stop playing and that doesn't happen very often. Thank you Big Fish and Elephant for such a good game. Please give us another one like this. Rated 5 out of 5 by denniann2 from you are looking for oliver and "the owlman" this game has a custom level. it also has an interactive map. you are trying to track down a kidnapped boy and "the owlman" who everyone says is the one that took him. this is the story of two towns that have nothing to do with each other by choice. you investigate the kidnapping until you can deliver the boy back to his mom. the ending was surprising. the graphics were good and the HO scenes also included some fragmented ones. also a reverse HO scene. sequel...always has been one in the past. Rated 5 out of 5 by amminnc from One of the better current story games out there now... My review is based on the SE game. I've played all the other Mystery Trackers games and have enjoyed them, except for dark scenes and a few frustrating mini games/puzzles here and there. I really like the Owl Man story in this one; it's different and intriguing. 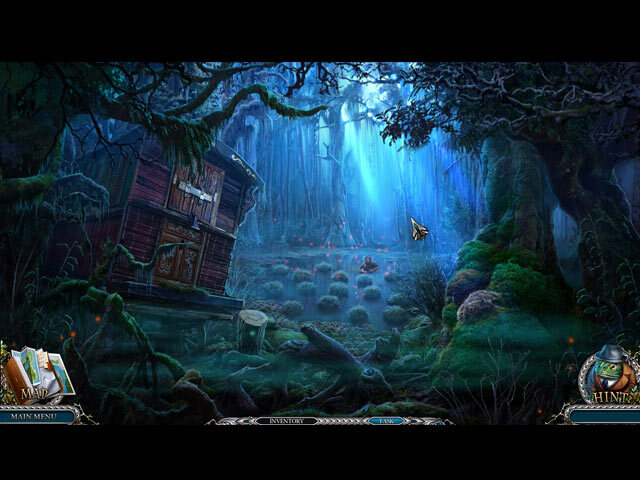 There are 4 gameplay modes; Elf the tiny dog is back to help you get into tight places; there's a new "Gift of Sight" element and I agree with other reviewers that it's a bit clunky but it does provide some answers in a "this is what really happened" way; hidden objects are presented in a variety of ways; puzzles and mini games are pretty good even though it might take a minute to figure out what you're supposed to do. This is a definite buy for me, but I am tempted to get the CE as reviews have been very positive; it comes with a good bonus game, collectibles, morphing objects, and other additions. Rated 5 out of 5 by 9otters from Things Are Not Always As They Seem On The Surface! BASED ON COMPLETED GAME After playing the demo I was kind of on the fence about purchasing this game. Because of a good sale and the aspects of the game that I DID like, I purchased it and ended up playing an EXCELLENT game! At first, I viewed "the sight" as a device to prolong gameplay. The more I got into the STORY, the better I enjoyed it. It ended up being a unique way to "see" the actions of the crime and give hints as to the identity of the true culprit. It was very easy to immerse myself in the world and story of this game, mainly due to the excellent graphics. Very atmospheric! If you choose to play, take a look at the individual townspeople. It was good to see people that looked like REAL people. Everyone was definitely not perfect and pretty. The HOS weren't difficult, but were definitely in keeping with the theme. The mini-games and multi-layered puzzles were a big plus for me. Not as hard as they first seemed and SO much fun to do. If I had the choice, I would liked to have seen MORE of those. I appreciated the truth of the story beneath the kidnapping story. The true "horror" is not always what it seems to be on the surface. I got the CE version of this game because I am a sucker for a good monster and it had the morphing mythic monster collectibles. Access to a secret room allowed play of some of the HOS and complex puzzles on a timed basis. It also had a story character vending machine as well as the normal CE extras. The bonus game had more of a supernatural theme that could have been fun as an entirely separate game. This turned out to be my favorite Mystery Trackers game of the whole bunch! SE or CE, I don't think you can go wrong. Different, entertaining, and definitely worth playing! Rated 5 out of 5 by pennmom36 from The Owlman, A Good Omen For One Town, A Nightmare For The Other! When the town of Nightsville began sinking into the swamp, the local Sheriff gathered the townsfolk and relocated them to a new town called Willowsville. Not long after their relocation, a villain began to prey upon the citizens, many took his side when the Sheriff exiled them back to Nightsville, and consequently started a deep seeded hatred between the two neighboring towns. Over the years, people began to catch glimpses of "The Owlman," the citizens of Nightsville claim that he is their protector, Willowsville, however is terrified of this omen, and are blaming the recent kidnapping of Oliver Johnson, on this mysterious half man, half owl abomination! This is a case that only Elf can solve, with a little help from Mystery Trackers Detective of course! An old man who appears to be blind, pops up out of seemingly nowhere to give you the "Gift of Sight" which allows you to see scenes in a whole different light, the way it was before something traumatic happened. Once you return items to their correct places, the sight reveals what happened there step by step, allowing you to piece together the evidence. When you speak to different characters, you are given several questions to ask, and you can choose which questions you want to ask in any order, but so far, all of the questions must be asked. You will collect three pieces of evidence for each scenario, once you have collected the corresponding evidence, you will be able to make a deduction about what happened, which is presented in sketched drawings for visualization. 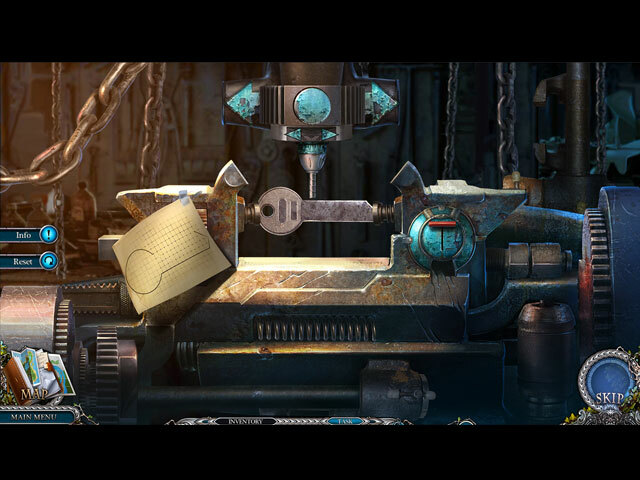 There are Plus Signs on some of the inventory items indicating that some type of interaction is needed before the item can be used such as combining the item with another inventory item or a quick puzzle such as turning cylinder sections to complete a picture. 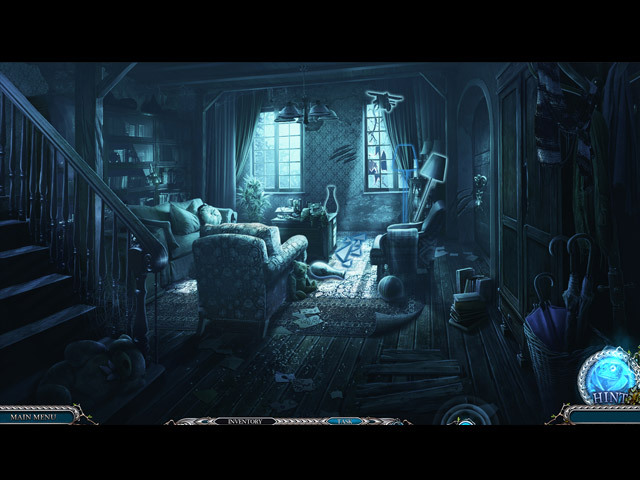 The Hidden Object Scenes are well done, a little on the dark side, but items are easily recognizable, most scenes require you to find items that match silhouetted shapes shown in groups which reveals a part to the final item. There are also scenes requiring you to place items from the inventory bar into the scene where they logically belong. There are smaller Mini Games such as turning several discs to allow rods to engage from the center hub to the outer ring. Then there's those long, complicated puzzles, where you have to match the numbers and birds on the code deck with the ones on the wheel, using the numbers and birds that are already set as a clue. The second set requires you to do the same thing with numbers, filling in the blank spaces according to the numerical pattern. The Collectors Edition has Wallpapers, Concept Art, Music, a Secret Room, Achievements, Collectible Coins and Figurines, Morphing Objects, Monsters, a Vending Machine, a built in Strategy Guide, and a Bonus Chapter, enjoy!